Give your students and employees a comfortable place to dive into a great book with library tables from Hertz Furniture. 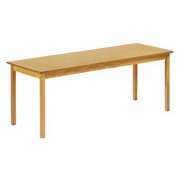 Our attractive study tables and reading tables help your patrons focus on their projects, assignments and homework. Proper work spaces will transform your library into a popular study and work space for students and teachers alike. Your library should provide the perfect venue for quiet studying and small-group work. 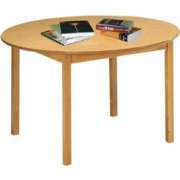 Attractive library tables will invite everyone in your learning community to step in and enjoy many kinds of literature. 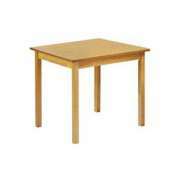 Make sure to include a number of our functional computer tables to keep your study space up-to-date for the digital era. In order to determine which library tables are right for your institution, a lot of factors must be considered. Think about the unique arrangement of your space and how many people you can fit in it at one time. Another important consideration is the feel that you want to project. If you already have school library furniture and just need a few extra tables, you will want to make sure that they coordinate with what your current arrangement. If you are starting from scratch, you will have to consider if you want a colorful and vibrant space or a more classic calming mood. Seating capacity varies from table to table. 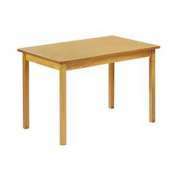 You may prefer to have many small tables or a smaller number of large tables. 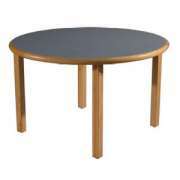 We have square, rectangular and round tables in a variety of sizes. Square tables give each person a clear study space, while round tables are the best choice for small study groups because they make it easy for participants to see each other and create an intimate friendly feel. Reading tables also come in a choice of colors. 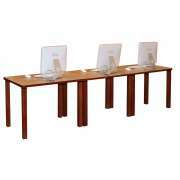 Russwood library tables are available in a selection of laminate top finishes and leg finishes. 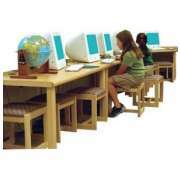 Educational Edge tables from KFI feature brightly-colored tops with natural wood trim. Wood library tables from Allied Plastics come in a choice of natural finishes that will coordinate well with classic library decor. If you are looking for an exceptional piece that will really add a lot to your study space, Russwood Map Tables are an excellent choice. These colorful pieces are both educational and functional. They feature colored maps of either the United States or the World. 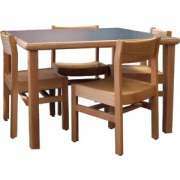 At the same time, they serve as a great place to sit and read or hold a small study session. When students come in to do research, they will probably need some combination of digital and print resources. In order to provide them with the optimal research tools, you will need a great book collection, as well as internet access with subscriptions to digital periodicals. By providing students with the right tools to succeed, you can help them learn the joy of academic pursuit and the process of gathering information. Because online research is such an integral component of today’s educational process, no modern library is complete without some functional computer tables. While regular tables are often strong enough to hold computers, they don’t have all of the features you need to have the most comfortable experience. Our computer tables have cable-management grommets and j-wire managers which facilitate easy routing. We have both panel-based and leg-based library computer tables. 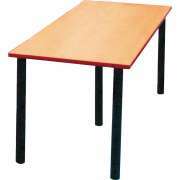 Leg-based tables can be used for a quick reference and lookup station or to create rows of computer workstations. A modular panel-based design saves space and money. You just need to order one starter unit and then connect as many adder units as you want to form a long row of computers. A convenient feature to have on your tables is built-in curbing. This provides an appropriate place to keep books and looks similar to study carrels. When books are properly supported, they will stay in better shape and remain organized, and they won’t fall off of the table or get ruined from improper treatment. Hertz Furniture’s library tables will transform your study space into a popular venue for quiet breaks and review sessions. 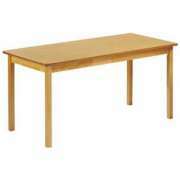 Great reading tables will work in conjunction with your other library furniture to create a calming and enriching room. If you need help deciding which tables to get and how many will fit comfortably in your library, call the Hertz Design Center.